Makeup Artists Favourite! Designed with a flat root, Deluxe Individual Lashes blend seamlessly to your natural lashes to add extra volume and length. Endless possibilities from light and natural to thick and volumous. They can also be used for lower lashline – simply turn them the reverse way . Your style – your way! Available in 4 lengths. Please Note: We are currently out of stock of 8mm Deluxe (Original) Individual lashes. To pre- order your 8mm Deluxe Individual Lashes simply choose 8mm from the drop down menu and once they are back in stock we will get them to you a soon as possible. 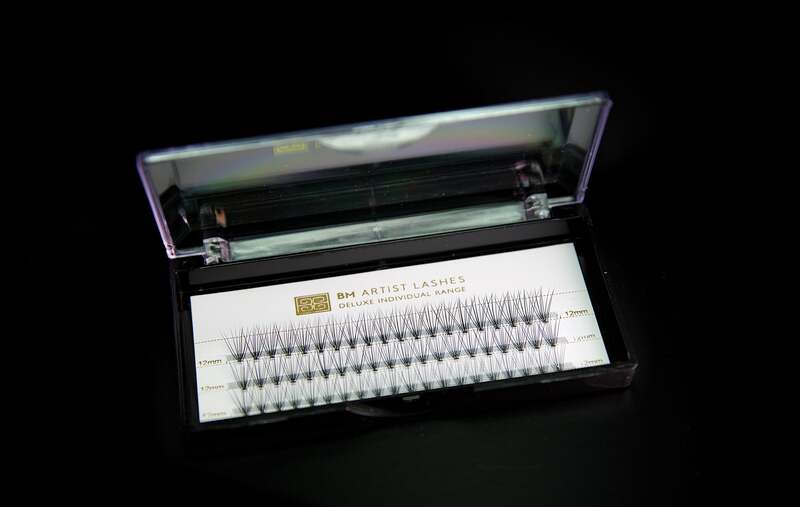 If you cant wait we have 8mm 2.0 Deluxe Individual Lashes in stock. TIP For optimum results hold the box with the root or base of lash facing away from you. Gently pull the lash out towards you using flat based tweezers . Dip base lightly in glue and place on lash-line. Do not use pointy end tweezers.